WHO DIED APRIL 8TH 1879 AGED 56 YEARS. WHO DIED JUNE 3RD 1886 AGED 62 YEARS. 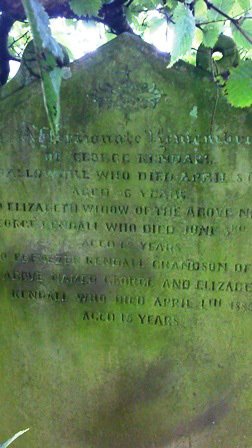 GEORGE AND ELIZABETH KENDALL WHO DIED APRIL 4th 1885 AGED 15 YEARS.